Can I Make Money Selling on Amazon? – Let Me Help You With That. have a selection that surpasses that of any box store, including the beloved Wal-mart. What most people don’t realize is that behind most transactions there are a few parties generating revenue outside of just Amazon. Amazon Sellers (people that list products for sell on Amazons network and ship them) and Amazon Associates, people that refer others to the Amazon site and in exchange earn a commission, usually from 4-10% depending on the product. I personally am a HUGE fan of being an affiliate marketer because it requires no shipping, no inventory (risk), and you can earn money from any one of the millions of products that Amazon has on it’s network. I want to give you a “real life” situation showing you how I earn money on Amazon. It is quite simple, but if you get lost at any point along the way scroll down to the bottom of this page and make sure you ask me whatever questions you may have (within the comments). Deal? to lose belly fat”. On it I discuss lots of different topics that interest me, but one of them I discuss how I like to juice. 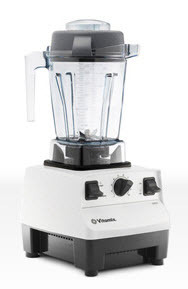 Anyone that reads any of my articles on juicing will get an affiliate promotion from me that shows which blender I use, the Vitamix 6300. This happens to be an amazon product. I join the Amazon Associates affiliate program which is completely free, grab my affiliate link, add it to my website and if anyone ever goes from my website to Amazon and buys, I get paid a commission. In fact, this has happened several times recently. You can see from my Amazon’s earning report below. Click to See My Earnings! Not only that, I get commissions from anything else people add to their cart before they check out. I happened to sell some men’s underwear and some other items from the Amazon.com site and as you can see these are in my commission reports as well. Funny the way people shop, but I will take it. More money in the affiliates pocket. MILLIONS of products, MILLIONS of ways to generate income. Amazon sells millions of items every day and their network of products includes well over 100 million different items that you can promote as an affiliate. That is, ONE HUNDRED MILLION. To this day, this boggles my mind. Every single one of these items represents an opportunity for an affiliate marketer. I have been full time within the online world for 12 years now and this still fascinates me and gives me the warm feeling of excitement knowing very well there is essentially unlimited opportunity online. How Does Amazon Pay Me? Since I am from Canada, I choose to get paid when I reach affiliate earnings of $100 or greater. They pay out on the 1st of each month and you will receive your commissions in a timely manner. Obviously you are not going to be able to just join the affiliate program and expect commissions. You need to understand how to build a successful affiliate marketing business and for this I do recommend that you get training. There are many folks out there earning a full time living from Amazon alone through affiliate marketing. No products, no shipping, no inventory…just sending people from their site over to Amazon. This leads me to the HUGE opportunity outside of Amazon’s affiliate programs…OTHER affiliate programs. The Opportunity of Outside of Amazon’s Low Commissions. There are 10,000’s of products in every niche imaginable. If you are new to the affiliate marketing world or just finding out that people are making money on the Internet through affiliate programs, this may come as a shock to you. For those that have been in the industry for some time, this will always be exciting in particular when you realize that companies are willing to pay up to 75% commission per sale. And on and on. Multiple these by 10,000’s of programs out there and you are looking at a lot of opportunity. I have been in the industry for 12 years and earned money from 100’s of different companies through affiliate programs, selling 1,000’s of different products. When you understand that every major retailer has an affiliate program and almost very product/service online or offline can be sold through one affiliate program or another, it should get you very excited. Regardless of your passion, interest or niche want to build your business within, there is going to be plenty of programs you can promote. Millions in fact….Amazon definitely being one of these. But to be successful as an affiliate, you need to understand the fundamentals of creating a long term and very successful affiliate marketing business. For this I recommend that you get proper training. There is one program that offers all of this in one place. 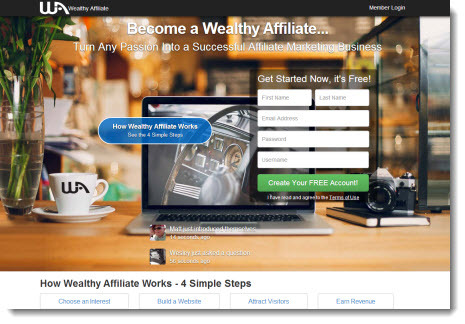 Wealthy Affiliate (read my full review here). There are a myriad of programs out there trying to sell you on the idea of the “next big thing” in this industry, the next secret…blah, blah, blah. That doesn’t exist. There is a proven strategy that worked back in 2002 when I started out in the affiliate marketing world and to this day, it continues to work. It comes down to choosing an interest, creating a website, learning how to get ranked in search engines, and then making money through affiliate programs like Amazon. This is all taught with Wealthy Affiliate and if you do decide to join (which is completely free to get rolling), I (Kyle) am going to be there personally to help you ever step of the way. If you have any questions about Amazon and the associates program there or anything related to affiliate marketing in general, please leave your comments below and I will be more than happy to help you out. Do you think this can be done on Amazon uk? I am VERY interested. I have a post grad in marketing and am keen on kitchen basics. how do i start? Would i make a blog/ website? Yes, of course it can. The same principles apply regardless of which Amazon affiliate program you are using. I would recommend that you start with a website, that is the foundation of your business. You can get a free website up and running (by this afternoon) if you head over to WealthyAffiliate.com and create yourself a free account. Thank you Kyle, but truly, can I make money selling on Amazon? I don’t have a ton of experience online and currently am more familiar with Etsy. Yes, anyone can make money with Amazon. They have an affiliate program that allows you to promote any one of their millions of products and earn a 6-10% commission in the process (depending on the volume of sales you can make). The more sales, the higher the commissions. There are a few drawbacks to the Amazon affiliate program though, the first is that they don’t pay as well as some of the other affiliate programs out there. For example, I have a website that promotes Vitamix blenders and I earn a 10% commission (at the high level) promoting these through the Amazon Associates Program, whereas if I join the Vitamix affiliate program directly I can earn 15%. Since the average sale is over $600, this can add up quickly as it is the difference between earning $60 per sale (through Amazon) and $75 per sale through the Vitamix affiliate program. There is an incredible opportunity though within any niche, any category, promoting products through Amazon. Unlike that of Etsy, you don’t have to actually carry any inventory, deal with shipping, deal with customer support, etc. You drive people to Amazon’s site and when people make a sale, you earn a commission. Hi Kyle, I was glad to read about your Amazon activities. The price is right, too. I am constantly getting phone calls asking me to be an Amazon affiliate. They always want money. I am interested in this, but I have always hesitated to give these people my info over the phone. Can you please send me a link so that I can get started? That would be great. That is where you can register your account with them. Hello Kyle, This is Chris I’m off to a slow start but getting there..
Would you be so kind and look to see if the WP Theme that i’m using will be good for my site, or would you us a different one.. I have a small but Top Basketball Cards, and Players that I started when it was free, I’m now a premium. I plan on putting a photo of the card and some content for each card. When choosing a them, I always recommend you choose something that puts the emphasis on the content. The best WordPress themes for this are the most simplistic ones, themes with simple menus, a white background (and black text), and none of the bells and whistles. Content converts at the end of the day, regardless of what you are promoting (Amazon products, basketball cards, etc)…so if you look at your theme and you feel as though the focus is not the content, then you might wan to choose a different one. Thanks so much for this eye opening post on affiliate marketing. 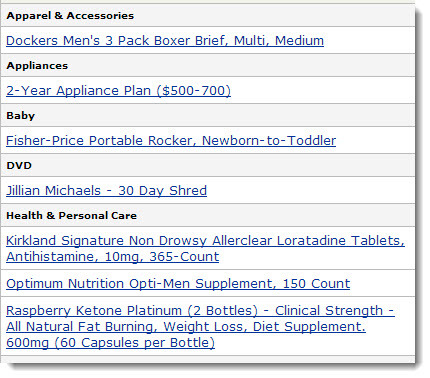 I love your angle of tying in a hot Amazon item to your niche and capitalizing on their whole shopping cart. Thanks also for the list of companies to hook up with. You are in essence capitalizing on their shopping cart every time you send someone over to Amazon.com to look at a product. The problem is the fact that Amazon only offers 24 hour cookies for affiliates which obviously loses a lot of affiliates revenue. This makes it very important to prepare your audience and offer them an informative review before sending them off to Amazon. This can speed up the purchase lifecycle that a customer will go through. 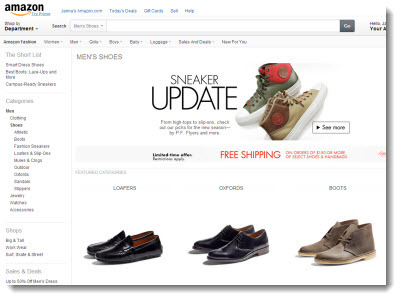 Would you explain what “prepare” means why will it speed up the purchase lifecycle? What I mean by prepare, is that you want to truly offer them an informative experience about the product/service before you send them over to Amazon. You want someone to (a) trust you (b) be in a state where they are ready to buy…before you send them off to Amazon. This will lead to much higher conversions. The last thing you want to do is copy and paste content from Amazon, put it on your site and then send them off to experience that same thing on Amazon. You want to offer a value added experience, your opinion, you help, your insights, etc. This will maximize your results. With regareds to copy and paste content from Amazon then put it on my site, this will not be a problem on copyright? Amazon allows it? You cannot copy and paste Amazon content on your website because it is duplicate content. This will do your website no favors in Google as they actually punish duplicate content so as a rule of thumb never copy (or curate) content from another website and put it on yours. If you are promoting products from Amazon and doing a review, you will always want this content to be in your own words. this going to be a problem with finding companies which will pay me commissions to sell their products (including Amazon)? Your location in the world is not going to limit your potential by any means Katharina. There are 10,000’s of affiliate programs including Amazon that you can take advantage of as an affiliate, promoting MILLIONS of products online (without owning them or having inventory). That is the brilliant part about the Affiliate Marketing world and if you are interested in this I highly recommend you check out Wealthy Affiliate…you can get rolling for free and it includes absolutely everything you need to create and grow a business as an affiliate. Thank you Kyle. I believe I am in the right place at last. I am eager to deepen my knowledge in affiliate marketing. Interesting to know that after bought something from Amazon , there are so many chances that the buyer will select some other items as well. I never realize it before. I believe so as I am aware that Amazon will suggest or recommend what other people bought together with that item especially book. I am going to explore more products at Amazon later to get the feel. p.s. I am also a premium member of Wealthy Affiliate. To me it is the best online marketing education center in the world. Happens all the time. I do it myself. I go to Amazon to buy one thing, they make a recommendation at checkout or I figure that while I am there, I might as well buy something else and these additional commissions are trickled through to the Amazon affiliate. This gets really exciting when someone buys a big ticket item that leads to you earning $100’s in additional commissions from that one customer. Glad you are enjoying WA. Hi Kyle, as I am not living in any of those 3 countries, I was a bit shattered that I couldn’t participate in Amazon’s affiliate (I honestly thought that it was the only popular one out there). Then I came across your training at Wealthy Affiliate and boy, am I excited to learn that there are so many other ways to engage with affiliate programs! And it’s true that they offer higher commissions than Amazon. Jaaxy also offers a speedy way to search for affiliate programs and I totally love it. Yeah, there are so many opportunities outside of having to sell or promote products on Amazon. Far too often people get caught up in Amazon because of their massive product selection, but starting out in the affiliate marketing industry I used to have a tendency of avoiding programs like amazon simply because of their lower commissions (not to say there isn’t a ton of opportunity there as well). Lots of opportunity out there Cathy and I am really glad you are enjoying Wealthy Affiliate (and Jaaxy). I have been successfully earning money from Amazon through Squidoo and my other online business for a short while and I can honestly say that it is possible if people are willing to put the hard work in to it. Amazon is one of the best affiliate programs for newbies to start with because the potential to earn an income is huge and there’s plenty of products to choose from. I completely agree on the training, tools, support and community you have pointed out in order to become successful online and watch the sales come rolling in. Wealthy Affiliate is THE platform for anyone to get started with. Oh yeah, it is more than possible…the sky is the limit. When people are spending billions within a ecommerce platform like Amazon and affiliates have the ability to capture 6-10% of this, that is a huge chunk of money up for grabs. Amazon is great, but folks regardless of their experience should not view Amazon or ANY single affiliate program as the be all end all. Successful affiliate marketers are relevance marketers…if you can align a relevant person with a product or service that will help them or that they are already looking for (in many cases), you can build a business doing so. It is simple as that. Thanks for stopping by Neil! The only problem I have with Amazon is that I live in Missouri…and Amazon won’t work with Missouri residents. I’m not exactly sure of the details why, but it has something to do with our complicated tax structures. I think one way I could get around this if I decided to ever use Amazon I can just use my parents’ physical address as they live in a eligible state! Anyways, as you mentioned there are tons of other quality affiliate programs out there, so it’s not a deal breaker if Amazon won’t work with you. That is definitely one way to get around the “black out” states for the amazon affiliate program. Many people do this (with family or people they know) and your checks can get sent there. Many people also just set up a mail box out of state and accomplish the same thing that way as well. In saying this, don’t fret. You don’t need amazon to be very successful online. There are many, many other affiliate programs that can fill the void and that will offer you a lot of potential within any niche….10,000’s of them and millions of products/services outside of the Amazon Associates Network. If you’re in a nexus state, check out Prosperent.com. If you’re using a store builder, our API works great. If you’re on WP, we have a plugin that will give you access to all the products carried by our 4500 merchants. It’s an awesome alternative! Haven’t heard of prosperent yet, but I definitely know of many folks using skimlinks that are located within nexus states. Thanks for the recommendation here Ashley.